The Salt Lake Organizing Committee (SLOC) which was in charge of the 2002 Winter Olympic Games hired Coltrin & Associates during the Olympic scandal to design and implement a communication strategy that would generate revenue and renew confidence and excitement about the games. Before Coltrin & Associates joined SLOC, sponsorship levels were at an all-time low. Upon completion of the Games, volunteers, ticket sales, ratings and sponsorships levels had surpassed all Olympic records. During the Games, Coltrin & Associates staffed and handled media relations on behalf of SLOC. 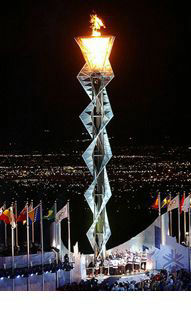 More than 9,000 accredited journalists covered the Salt Lake 2002 Winter Olympic Games along with several additional non-accredited media.